Prior to the launch of the Galaxy S10 at the Samsung Unpacked event, scheduled for February 20, the company is dropping the price of its premium smartphones. Samsung Galaxy S9+ and the Galaxy Note 9 that were the flagships of 2018 are now available at a discount along with cashbacks. This move of dropping the price also comes before Valentine’s day, as part of Samsung’s ‘Best Days’ offer. On the purchase of Samsung Galaxy Note 9 the users will get instant cashback. When buying with a HDFC credit or debit card the consumer can also avail cashbacks and discounts. Apart from the cashbacks Samsung is giving additional discount up to Rs 9,000 on exchange with another smartphone. In the Best Days offer, the Korean company is also cutting price of its Galaxy Watch, which comes at a price of Rs 24,990. 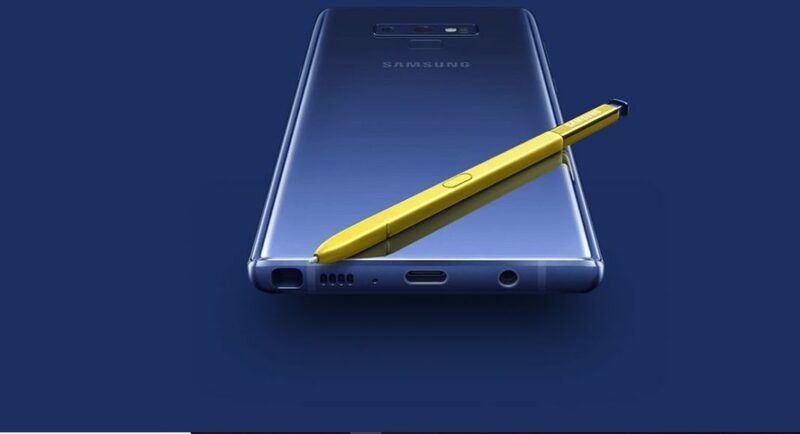 Samsung has revealed that the top variant of Galaxy Note 9, which has 8GB RAM and 512GB storage is now available at Rs 77,900. This was originally priced at Rs 84,900. The customers would get an instant cashback of Rs 7,000. While Samsung Galaxy S9+’s 64GB variant is selling for Rs 57,900, which was earlier priced at Rs 64,900. Similarly, the other variants of the Galaxy S9+ also received Rs 7,000 price cut. The 128GB version of Samsung Galaxy S9+ is now selling at Rs 61,900 and the 256GB variant of the phone is selling at Rs 65,000. Users can get additional discount on the smartphones if they use HDFC credit or debit cards. On use of the said cards buyers can get additional cashback of Rs 6,000 on the purchase of Galaxy Note 9 and Rs 4,000 cashback on the purchase of Galaxy S9+. There is also a special offer for the upcoming Valentine’s day where the cashback amount has been increased to Rs 8,000 for Galaxy Note 9 and Rs 6,000 for Galaxy S9+. If the customer exchanges his old Samsung smartphone to buy Note 9 or S9+ then they would get an additional discount of Rs 9,000. But the offer doesn’t end here. the company also announced that if the customers buy any of the abovementioned smartphone’s 128GB or 512GB variants then they can avail a discount on the Galaxy Watch, too. They could get the watch for Rs 9,999, while the original price of the Galaxy Watch is Rs 24,990.